A Couple of Great Ways To Get On The Dance Floor! 1. Three-for-thirty (3/$30) Special: By far, the best way to get acquainted with Ballroom dance is variety. This one time Introductory Special allows you to try out a 1 hour private dance lesson, 1 group class, and 1 social dance party for only $30 (4 hours on the dance floor for the same amount you’d spend on a date to the movies). Group Class: We offer beginner group classes; see calendar for times. Each class is structured in such a way that the beginner will feel comfortable. We also teach beginner classes to inspire the slightly more seasoned students, who often come to practice their technique while doing basic patterns. This mixture of levels aids the learning process by giving the newest students an opportunity to dance with slightly more advanced students, allowing them to learn how to improve their leading and following. A normal beginner group class will cover a few patterns, leading and following with a partner, and a bit of basic technique. For a schedule of these classes, click here. Social Dance Parties: The best way to become comfortable in your dancing is by applying what you’re learning as often as possible. Social Graces makes that easy by offering weekly Friday Dance Parties. Put on your dance shoes and come swing by our studio for a night of fun and dancing! For a schedule of these dances, click here. 2. Guest Parties: See calendar for our “Guest Party” dates and times. Our guest parties offer a unique opportunity for a new student to become acquainted with the studio, staff, and of course partnership dancing, all in a comfortable, non-threatening environment. We ask that current students only come to our guest parties if they are able to bring a guest, but we welcome anyone new to the sport to come first to a guest party. 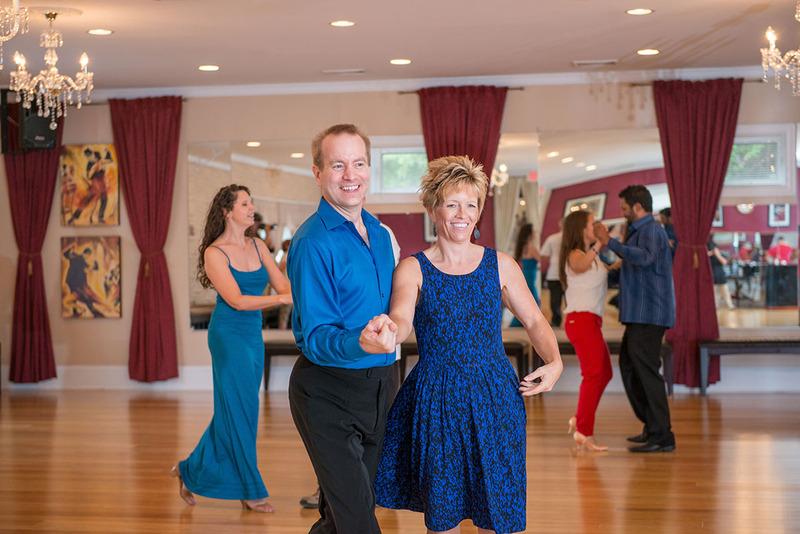 Guest parties include 1 hour of group instruction (designed to get you acquainted with a few dances) refreshments, and the chance to expand your social horizons. Dress is casual. We are confident that you will enjoy the personalized experience from any of our friendly and professional instructors. Come single or with a partner – we’ll give you a great lesson and you’ll leave the floor with a smile!